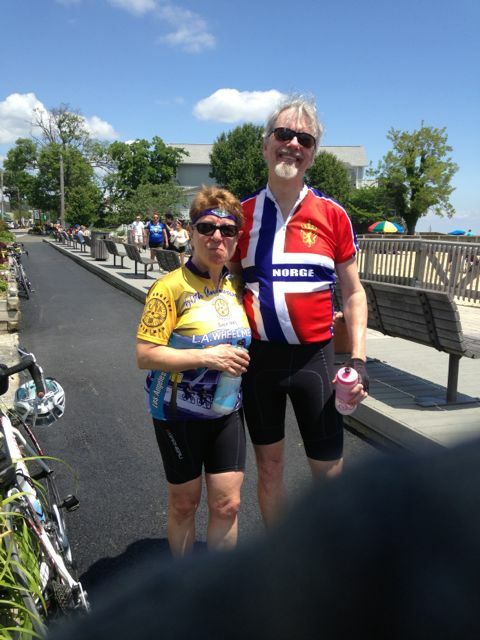 Today’s ride: Train to Chesapeake is a Potomac Pedalers Touring Club ride that starts from Harwood Md (South of Annapolis on Route 2) and heads to North Beach on the West side of the Chesapeake Bay, and returns. There are usually 2 routes, a 47 mile circuit and a 61 Mile Circuit, and they both go through rolling terrain. 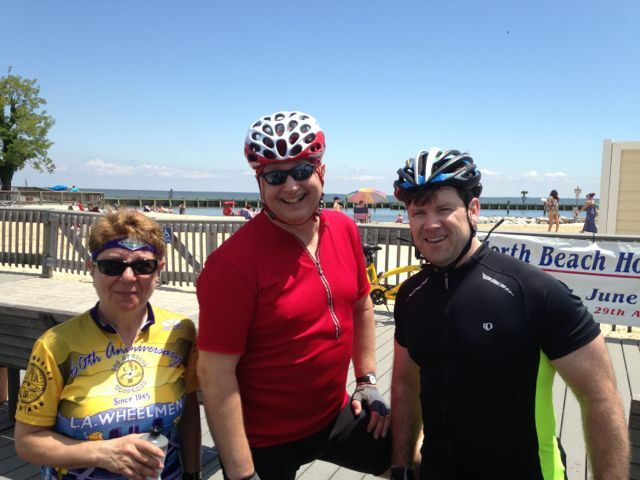 This ride is usually scheduled for both Memorial Day and Labor Day, and it is very popular with the local bike clubs. This ride gives you a challenge without being too hard on less experienced riders. The Experience: This was a ride to arrive early for, in order to socialize, and I talked to a lot of riders whom I don’t get to talk to often. It was very enjoyable to catch up. The course was changed slightly this time due to a road closure, which dropped a little distance from the long ride, but the weather was cool and clear, and while we had some wind to contend with, for most of the ride it didn’t seem to bother us. I rode out with Eric Sanne and Tony Lehr, the former an old friend who is enthusiastic but doesn’t remember routes well, and the latter a rider we met the week before at CASA River who didn’t know the area. What that meant was that I would be the shepherd and GPS for us, keeping us on course while finding and holding a pace that would satisfy us all. Like most rides with a lot of riders, it pays to stay focused at the start of the ride. This ride was no exception. When everyone is fresh, you’ll see some riders who can’t settle down and pace themselves because they’re excited, charging up hills, boxing in other riders, or suddenly slowing down when they look at cue sheets. I knew the area, and I was looking for problems, so we found a good pace and stayed safe. Eventually the three of us found ourselves riding alone with Bob Sheldon, an old friend and experienced rider whom we seldom have the pleasure of riding with, tacked on to the back of our line. We managed to get to the first rest stop without incident, and by then (just over 20 miles) the ride had strung out a little and we settled in comfortably. We were humming along like a well oiled machine through the rolling terrain west of the beach, and we were all in good shape and good spirits as we got to the second rest stop at the beach at the 40 mile mark. We pulled out a little later, with the day beginning to heat up, prepared to climb from sea level back up to the start with water bottles topped off and Carol Linden joining us. However, before we got away from the beach Eric had a flat tire. This is a common occurrence, and we waited with him while he fixed the flat. Carol, sensible of the heat and climbs ahead, and knowing we were riding well, went ahead expecting us to catch her up. When we got back on the road we reached the first climb in good spirits, and took that long climb at a good clip, with Eric claiming King of the Mountain points (the imaginary kind) at the top. We caught Carol several miles up the road, but Carol is a strong steady rider who rolls up the miles on these rides very well. 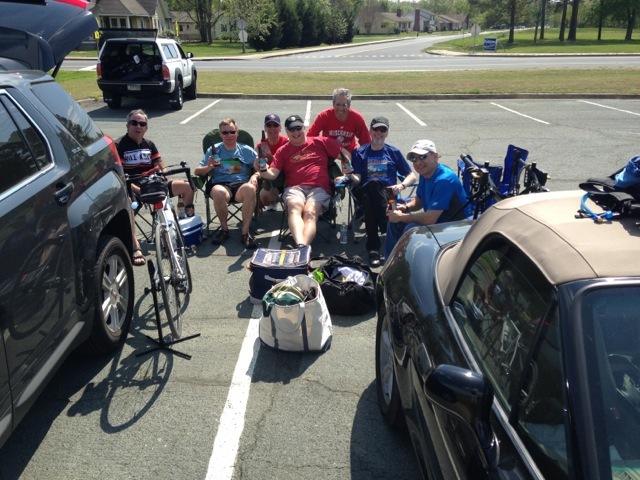 We finished strong without any other incidents, feeling the satisfaction of a strong ride on a beautiful day. We earned our post-ride brew! Selections from my mental iPod during the ride: “Rescue Me” by The Alarm, “Hold On, I’m Coming” by Sam & Dave, and “Trip Through Your Wires” by U2. Stats: 59.32 Miles ridden. The kind of ride that “consistent” describes beautifully, on the kind of day that was made for bicycling. At North Beach: Carol and Eric, Carol, Myself and Tony. 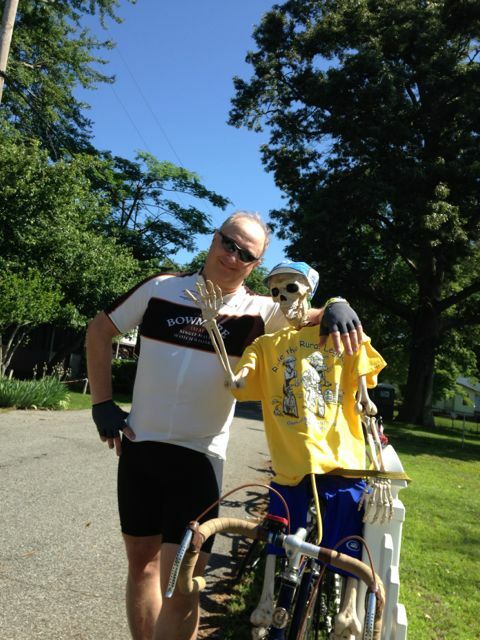 This entry was posted in Cycling on May 25, 2014 by kitefencer. Today’s ride: The CASA River Century in Shepherdstown WV. This is an excellent early season ride. 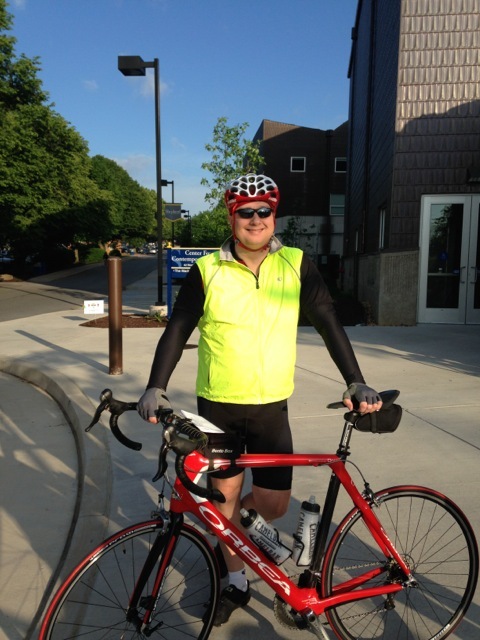 Held in mid-May, while the weather is cool, this is a rolling ride that has excellent scenery. West Virginia is hilly, but the hills on this ride are short climbs followed by refreshing descents. Often you’ll get much of a climb done through momentum from the previous descent. Riders can see wildlife, mountains, river views and farms. The ride is well supported. There are two loops to the century, so riders can drop off jackets or other items as the day warms up, and there is a variety of good food served to the riders at the middle and end of the ride. The Experience: This year there was a torrential rainstorm the day before the ride which caused some local flooding. Some of the roads on the course were closed. The organizers had to map a new route for 50 miles the night before, and then asked the century riders to make two circuits. The organizers did a good job under tough conditions to hold the ride. I had been sick the day before, and I was recovering. 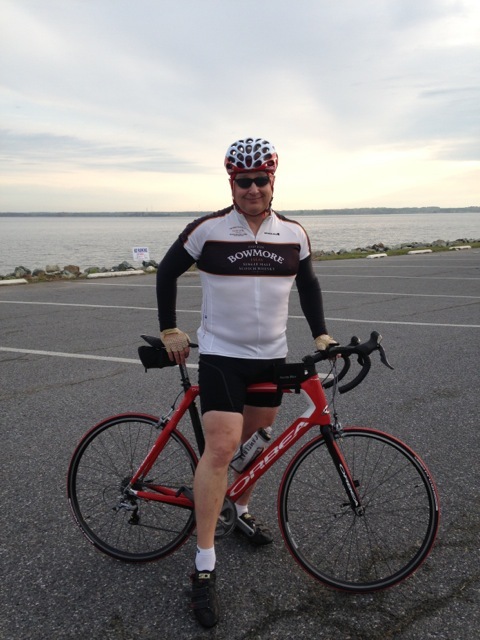 So I knew that with my body weakened, the ride would be tough. I could have reasonably ridden a shorter ride, stopping at 50 miles, or simply not gone, but I chose to harden up and ride the entire thing. Was this wise? No. There were consequences to pushing though the pain and riding anyway. Yet I chose to tough it out and complete my 100 miles. Serious cyclists talk about suffering in offhand ways. We treat suffering as something we have to do, the price of riding. We learn to recognize when other riders are suffering. In a race, when you see suffering on someone else’s face, you attack. When you’re riding for fun, you support each other. At the end of the ride, I needed my friends around me. It was a windy day, and chilly when we weren’t in the sun. The scenery was amazing. The long views from the top of the ridges were outstanding. I ended up riding normally for about 60 miles. Then things started getting tough. 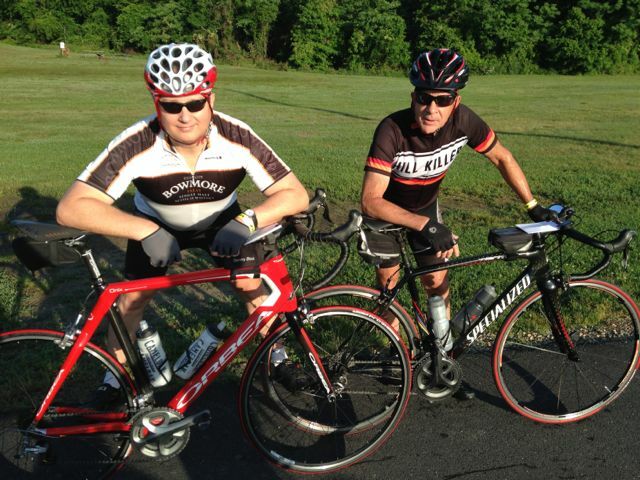 At around 85 miles my legs ran out of juice and I started cramping up. Was I drinking enough? Yes. Was I eating enough? I thought so. Did any of that matter to me? No. I was in pain, but I just kept going. Assists go to Eric Sanne, John Koehnlein and Tom Roman for staying with me and seeing that I was safe. Thanks, guys! I feel good about riding through the pain, but it’s an experience I don’t want to repeat very often. I know I’ll have to suffer again though. We all have rides where we’re suffering more than usual and there is nothing we can do but keep going. The last 10 miles were driven by the promise of a beer at the end, and the shelled pistachio nuts that I brought to share. This was a very unusual set of circumstances for this ride, and for me. In any other year, this is a ride to look forward to! Selections from my mental iPod during the ride: “No Myth” by Michael Penn, “Someday, Someway” by Marshall Crenshaw and “Wild Night” by Van Morrison. Stats: 100.22 Miles ridden. 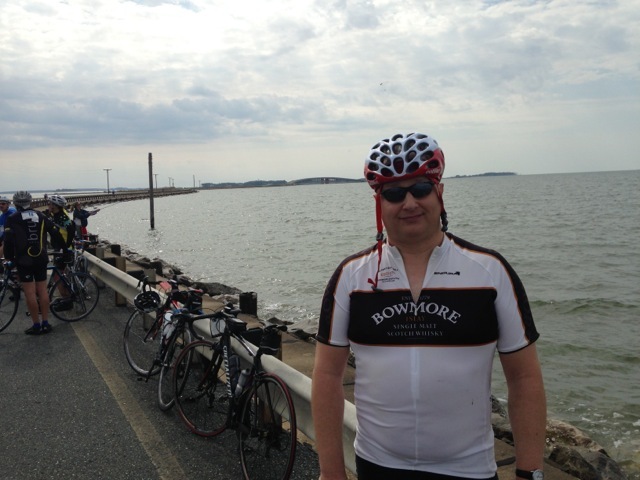 This was a difficult ride for me, but a satisfying result – 100 miles while I was not at my best. 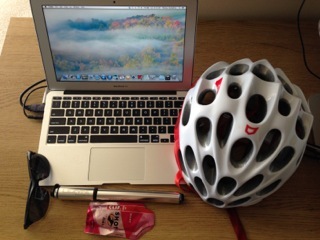 This entry was posted in Cycling on May 18, 2014 by kitefencer.